The advantage of using a system like SPIN-Farming is that it provides benchmarks to guide your business and measure your progress in highly specific terms. Let’s take a look at what comprises SPIN’s benchmarks, and how they all add up. 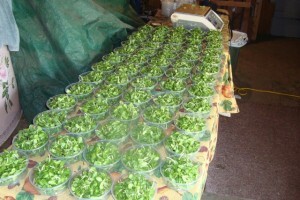 Relay cropping doubles or triples production and therefore revenue, without expanding the growing space. 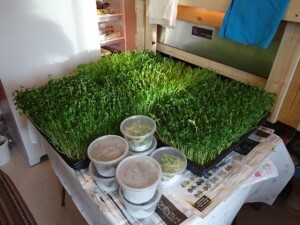 You can think of it as intensifying your growing space. Putting these benchmarks into play on a half acre, which is about the size of many suburban backyards, goes something like this. As you can see, the options are many, and the result is a system for generating specific, steady and predictable income throughout the season. But since farming is never steady state, the system is adjustable throughout the season, and from year to year. Playing with SPIN numbers is not an academic exercise. It’s the basis for your business, production and operational plans. All you need to do is get with the system. Here is a bed of spinach past its prime being tilled under and readied for the planting of a second crop. Planting several crops sequentially, one right after the other, in the same bed throughout the season is called relay cropping. It double or triples the revenue you can make from a single plot. We are frequently asked to assess farm start ups. Long wordy business plans usually indicate a lack of understanding of what is most likely to determine success. For beginning farmers, the shorter the plan the better. 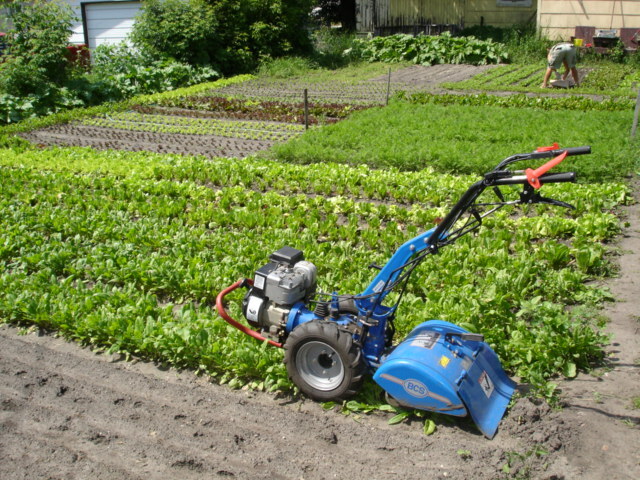 Traditional ag training has made a fetish out of visioning, self-analysis and planning. If you’re trying to decide whether to move to the middle of nowhere, take on 5 or 6 figure debt, or hitch your wagon to government support, it probably is useful to have your head examined. But time-consuming paper exercises and detailed 3 year plans bear little relation to how effective you’ll be at growing vegetables or running a business. List your start up costs. Keep them as minimal as possible. Decide on the number of your marketing weeks, which is the amount of weeks you will have products for sale. 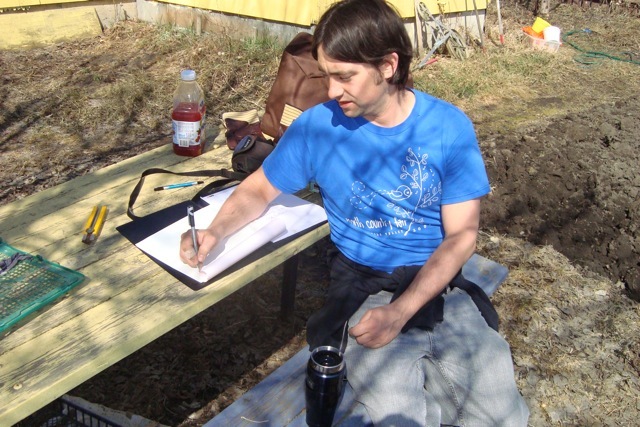 Novice SPIN farmers plan on 20 – 30 marketing weeks. Set a benchmark income figure. The benchmark for novice SPIN farmers is $500/week gross for 20 – 30 marketing weeks, for total first year income of $10k – $15k. Divide your total income by the number of your marketing weeks to get your average weekly income total. That’s your targeted weekly cashflow. Budget overhead at no more than 10% of your total income. What you now have is a framework for pacing and measuring yourself, keeping yourself honest, and eliminating unpleasant surprises, since you can evaluate and gauge your success against your starting benchmarks as you go through the season. At the end you can reset benchmarks based on experience for year two. For feedback on what is mission critical to your success, spare us your psychological profile. 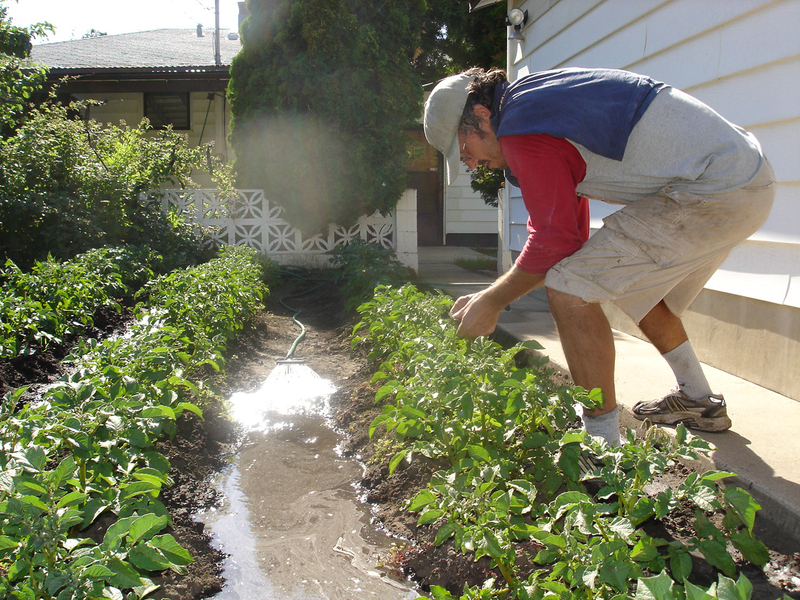 Use your energy for digging deep into your garden beds, not your psyche. Just show us your numbers. Then use SPIN 2.0 and the online support group to help you implement a production plan that ensures you meet them. This is the story of Wally Satzewich. He did not come from a farm family. 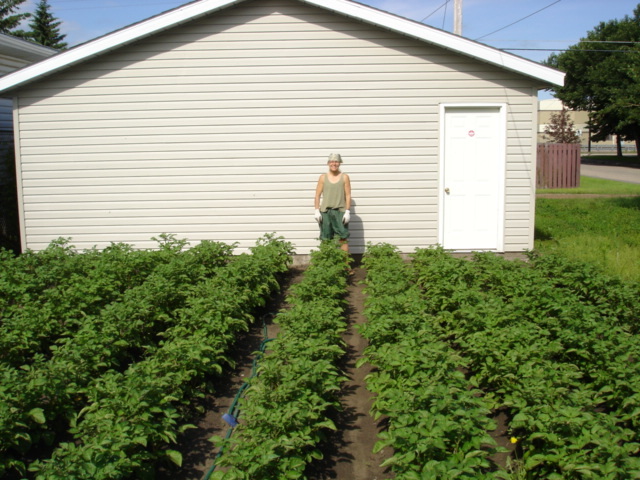 Thirty years ago he began growing in his backyard in Saskatoon, SK, a city of about 220,000. 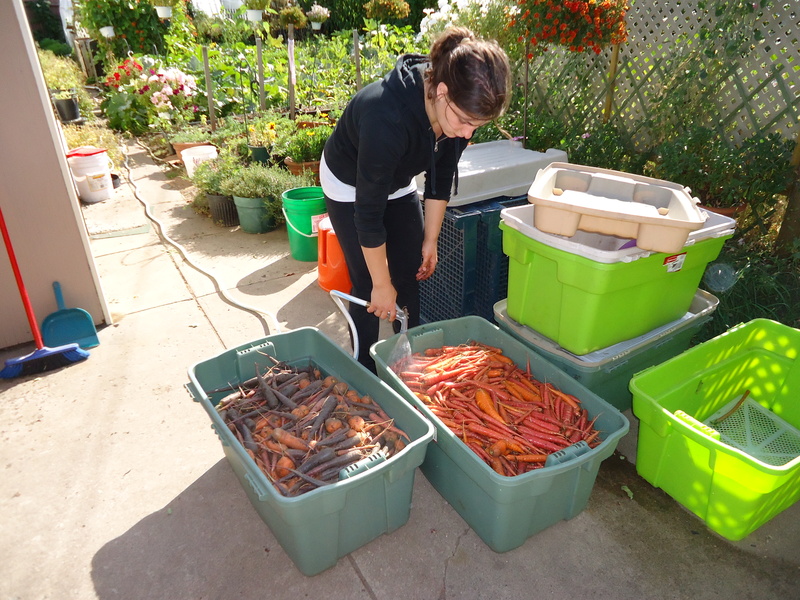 He began selling at the Saskatoon Farmers Market, and that sealed his fate. He realized he was a farmer, and like most farmers back then, he thought that to become successful, he had to get bigger. So Wally acquired 20 acres outside of Saskatoon, along the Saskatchewan River, and invested in an expensive irrigation system and brought in outside work crews. 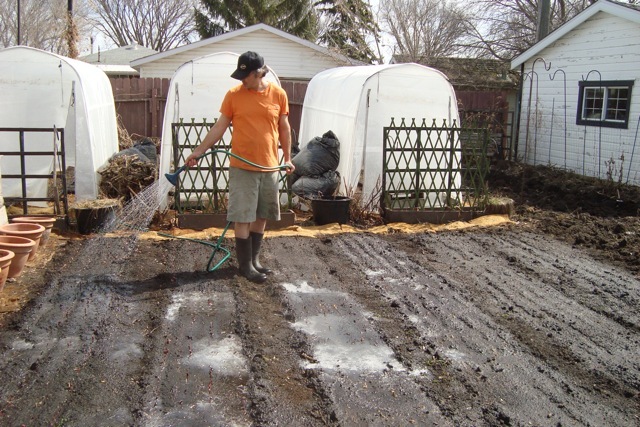 But he continued to live in Saskatoon and grow in his small yard there. 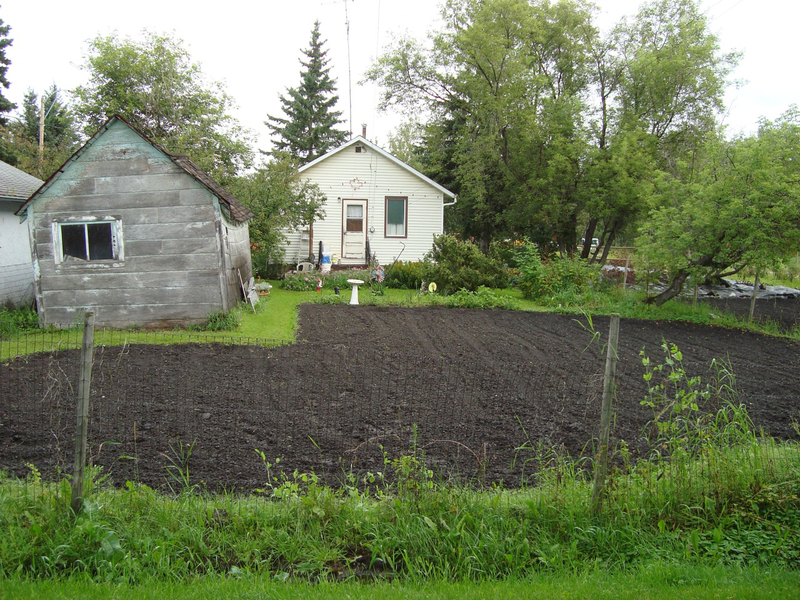 Over time Wally realized he was growing high value crops, like carrots, spinach and salad mix in his small backyard, and he was growing low value crops, like potatoes and onions, on his larger acreage in the country. This distinction between a high value and low value crop made him realize the other advantages to city-based sub-acre farming. Wally could grow high value crops in the city because he was not losing them to pests, like deer and large scale insect infestations. His irrigation system in the city was the water faucet, he did not have to depend on fluctuating river levels or worry about water quality. His work crew in the city was he and his wife. He did not have to depend on outside labor. When Wally looked at the financials is when his head really got turned around because what he saw was that, even though the land base and overhead of a sub-acre farming operation is a fraction of that of a large-scale farm, their bottom lines are similar. So a sub-acre farmer can earn as much, or more, income as a large scale farmer, but with a lot less stress and overhead, and with a lot more control over their operation and with a lot more certainty of success from year to year. 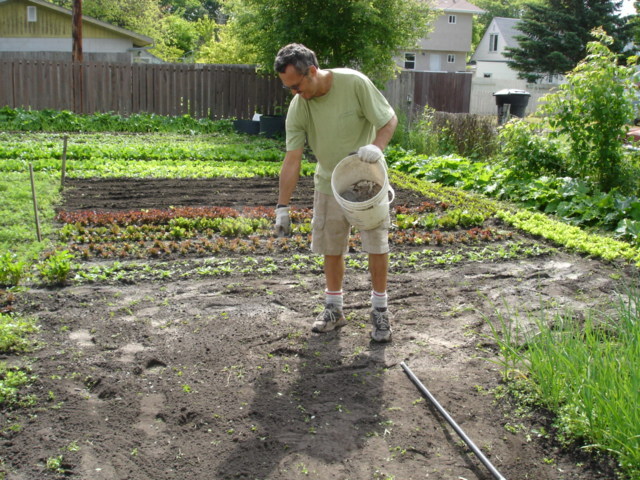 So Wally sold off all his acreage in the country, Futility Farm as he called it, and became an urban farmer. Now, the only land Wally owns in the city is his own small backyard, and he rents or barters other backyards to make up his land base. 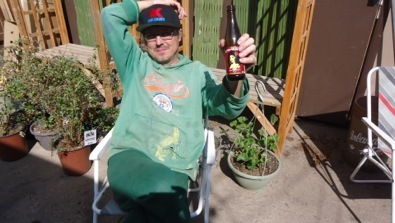 He has been supporting himself farming this way for over 15 years. Based on his experience in downsizing Wally realized how effective a systematized approach to farming could be. 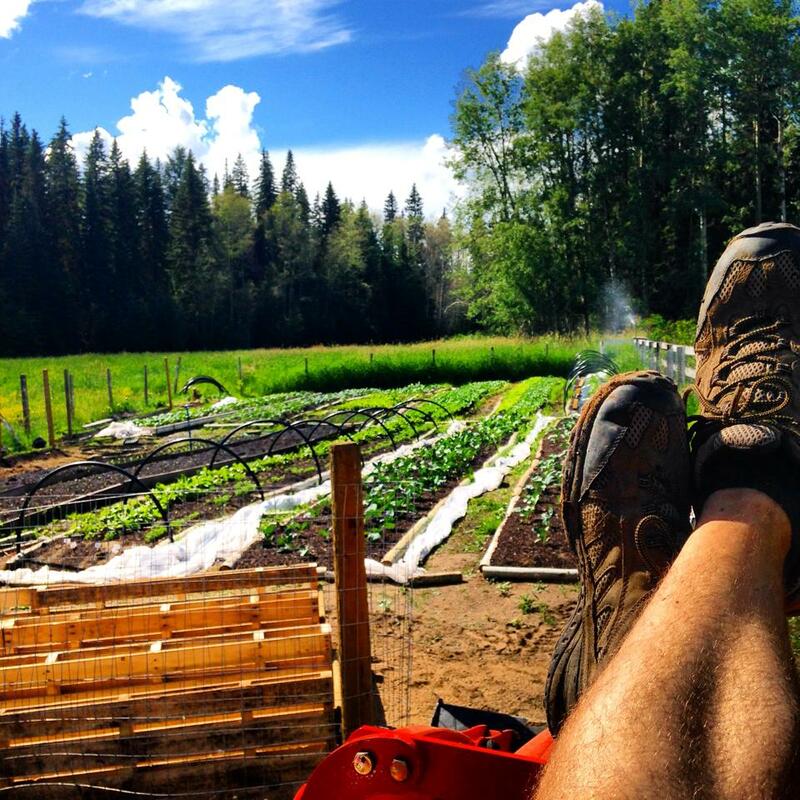 While he knew that farming was “experiential”, and that farmers had to learn by doing, he also knew that if the only way aspiring farmers could launch their careers was by trailing him around in his backyard plots, it would get pretty crowded up there in Saskatoon. What he needed was to document the system in some way. Together we wrote and produced the SPIN-Farming online learning series. Wally created the SPIN-Farming system after downsizing. Like, really downsizing. Like, from 20 acres to less than 1 acre. He’s been farming this way for over 15 years.